Join us in creating a faithful digital transcription of אמרי לב Prières D’un Cœur Israélite (Arnaud Aron and Jonas Ennery, 1848). This collection of prayers served as the basis for English translations by Hester Rothschild and Isaac Leeser. After transcription and proofreading, this new digital edition will need to be encoded in TEI XML and archived in the Open Siddur database. 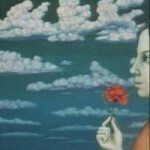 The edition will be shared under a Creative Commons Zero (CC0) Public Domain dedication. 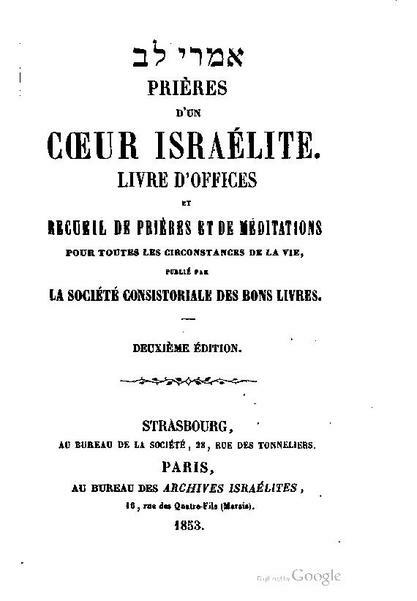 “אמרי לב | Prières D’un Cœur Israélite, a collection of paraliturgical prayers and teḥinot in French by Jonas Ennery and Rabbi Arnaud Aron (1848)” is shared by the Hierophant with a Creative Commons Public Domain Dedication 1.0 Universal license.